Roger Eschbacher Books and Other Writing: "Fortune and Love Favor the Bold" aka "Go For It!" "Fortune and Love Favor the Bold" aka "Go For It!" I think every author knows that a nice blurb, praise from a well-respected peer, can help potential readers make up their minds about whether it's worth taking a chance on a book. Because of this, I asked two mg/ya fantasy authors, whose work I greatly admire, to blurb Dragonfriend and was delighted when they agreed. I hope they don't mind me sharing their blurbs prior to publication. "Dragonfriend starts with a chuckle then quickly develops into a brave quest, climaxing in a truly epic battle between knights, dragons and fiends from Hell. Honestly, what more could you want?" Wow. And as far as blurbs go, there's absolutely nothing more I could want! "A clever, witty and wonderfully written side story to the Arthurian legend. Eschbacher has given never-considered twists, turns, fun details and tremendous heart to a world so often painted with a chivalrous but rather drab brush. Leonard is a marvelous hero-in-the-making and Mantooth is the first dragon in a long time who really deserves a hug." The thing is, I wouldn't have gotten these great blurbs if I hadn't pushed aside my reticent nature, swallowed my congenital discomfort at requesting a favor from a "stranger," and just asked (in an extremely polite and professional manner). Traditionally published books have the advantage in this area in that the publisher is the one responsible for securing blurbs from relevant authors. Obviously, we independent authors don't have this advantage and have to do the footwork ourselves. This can get kind of tricky and downright uncomfortable for the prospective "blurber" as they are dealing directly with the book's author, the "blurb-ee." What if they end up hating the book and don't want to give a blurb? Awkward? To say the least! The blurbers have every right to say "no thanks" and would be quite justified in doing so. "Fortune and love favor the bold," is one of the quotes I use to motivate myself to attempt to accomplish good things that make me feel uncomfortable (see the above congenital defect). 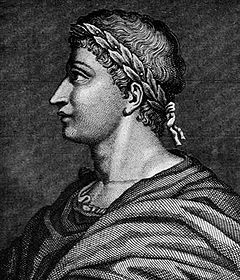 It's from Ovid, the Roman poet, and is basically a fancy way of saying, "Go for it!" Independent authors have to do this time and time again during the arduous process of bringing their book to publication. Heck, the very decision to self-publish is a major "Go for it!" moment. So, while I'm not saying you should start bugging authors for blurbs in a creepy, stalker-ish manner, I am saying that if you've developed a sincere and honest online relationship with an author whose work you respect, there's nothing wrong with asking them for a blurb. Just don't take it personally if they say "No, thanks." Any thoughts or tips on the art of the blurb? From both sides of the equation? Share them in the comments! I did my own footwork and it was nerve-wracking. Medeia, I hear you. Fortunately both of my authors were very cool about the whole thing. Wow, fortune really did favour you! I think a great blurb can make an enormous difference -- if an author I love blurbs something, I'll definitely pick it up. Amie, Same here! At the very least, I think a good blurb can help a potential reader pull the trigger and choose to read your book. I think it's one of those little things that can add up -- a good cover, positive reviews and "likes" on your Amazon page, etc. -- things you can probably get by without, but the more you have of them the more they help.